We interviewed Brian Alexander about ranch recovery from wildfire. Brian Alexander manages the 7,000 acre Alexander Ranch in South Central Kansas with a managed intensive grazing system. In 2016, their operation was completely burned in the Anderson Creek Wildfires. You were hit hard by the Anderson Creek Wildfires in 2016. What happened? The fire got my whole ranch in a matter of about two hours. In places I had 3-4,000 pounds of fuel because in the two years prior I came in understocked. In the two years prior, the indicators had been for drought, so I had a drought plan stocking rate. And 2014 and 2015 both turned out to be pretty moist, so I had a lot of forage. I had a pretty good amount of fuel stored up and that fire came through. There was absolutely no stopping it. It came through on a day it was eighty-some degrees, near single-digit humidity, and forty mile per hour winds. I don’t care what you do, you’re not going to stop a fire in conditions like that. It was absolutely the worst thing you could imagine, watching a fire that big and that intense coming straight for you and there is absolutely nothing you can do about it. Straight for you, for your house, for everything you own, everything you’ve put your life into for ten years. That fire’s coming, and there’s nothing that is going to stop it. Watching the whole place burn up, it took a couple of weeks to get my mind right. A lot seems superficial when you start getting a little rain and seeing the grass come back. What was recovery like for you? Recovering from a wildfire—treat it like any other massive defoliation event. You can treat it like a severe drought or severe overgrazing. You’ve got to destock and let the grass have time to rest and regrow before applying grazing pressure. And you can’t graze it as hard the year after a fire. You’ll think you can because of the forage level, but that’s misleading. Instead of take half, leave half, cut back to taking maybe 35% just to give those plants some extra rest. I watched a lot of people not do that around here. You can drive by some of those pastures now and they look a lot worse than they did the day before Anderson Creek came through. But there’s also quite a lot of ground around here that looks quite a bit better than before the fire. Not just because of removal of cedar trees, but by some sheer luck a lot of people moved their cows off so they could put fences back up. And we had a wet year, got a lot of grass, and things recovered well. The thing is, wildfire is a complete defoliation and you have to treat it with a little bit of extra care. If you treat it with a little extra care the year after a fire, you’re going to have benefits in your ranch production and soil health for years to follow. But if you get it wrong that first year after a fire, I’m not saying you’re never going to recover but you’re going to be set quite a bit further back than you would be if you managed to improve your forage decently. If you manage your forage and you’re not overstocked, your cows are going to have enough to eat. Recovery is just tied to time and rain. How much time you need is tied to how much rain you receive. The worst thing that can be done is after your pastures burned, is for it to be left alone fallow and undisturbed for two or three years. Grasslands need grazing pressure. Periodic, high-intensity, short duration grazing. If you’ve read any Holistic Management—it’s mentioned at least three times a chapter. I’m saying that because I’ve seen it work for thirty years. I know it works. How did you approach repairing infrastructure after the fire? It depends a lot on what you had before the fire. A lot of the people that had left cedars growing through their fences and never maintained them had to tear everything out and restart from scratch. I didn’t. I had to go replace a lot of my H braces, gates, and line posts. I had to tear out and re-do all of my electric fence. That was only 18.5 miles. But the rest of it, 44.2 miles of barbed wire fence, I had to go over all of that. I think we put 400 to 500 steel posts in to replace the wooden posts that had burned up, and 140 pre-fabricated steel braces to replace the wooden H braces that had burned. For the mechanics of the recovery, I did the vast majority of it with volunteer labor. After the fire the first thing you have to do is make an inventory and see what you have left, what’s not damaged, and what’s going to need work. Then you start prioritizing things based on when you need it. I realized that I had so much to do and a lot of it wasn’t skilled labor. It was just manpower and I just needed people to do work. I said, “You know, there’s a lot of people around who want to help. Let’s get a volunteer crew together real fast and get as much of the heavy lifting done as I possibly can. Then I can do the light work that I can do by myself over the summer.” In the span of a month, I got almost all of my corners set and I just had to spend a lot of time going around tying wire up, pulling wire, and patching things back together. But 99% of the heavy lifting was done with volunteers. How did you reach out to volunteers? Don’t be afraid to get on Facebook and reach out to people—people who live in the city, millennials, and say “Hey, we’re affected by this fire and we could sure use a little help rebuilding if you wouldn’t mind coming out and helping us for a day or two. 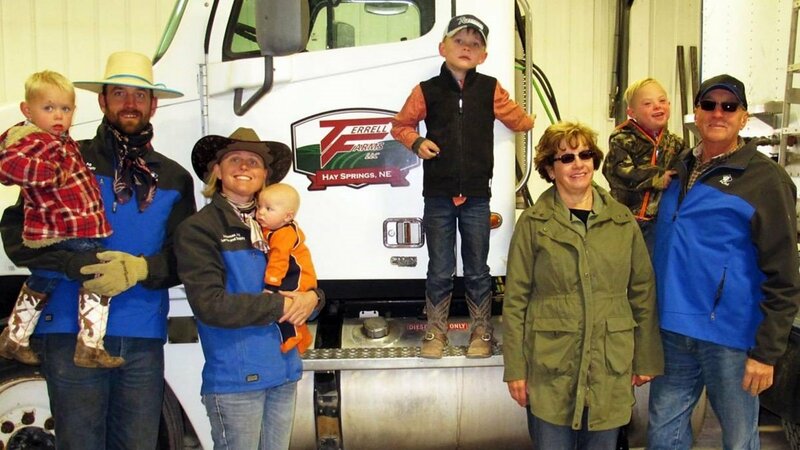 We’ll pull up wire and show you what the ranch is all about.” There are a couple of Facebook groups I was already in, with people in them that were fairly influential and they really helped me out. The power of Facebook and social media is that it’s a way to reach people in the city, to talk about what we do and why we do it. Why we love it and how we share that with them. From my experience with the wildfire, just getting kids out that wanted to come out to help made a huge difference. They’re already on the ranch and willing to help and listen to what to do. It’s not far from that to say, “Hey check this out about grass. It’s pretty cool. If you manage this a certain way, you can get this to happen.” There’s a lot of opportunities there for outreach and communication to reach people that you otherwise couldn’t with social media or having an open house. If someone comes to you, they’re already much more open-minded and interested in listening to what you have to say. That’s always been my experience. What resources were helpful during recovery? There’s fire insurance but I can’t afford it. You can insure your fences but because of the law about depreciation, fences depreciate out in about ten years. I can tell you on this ranch I’ve got fences that are ninety years old that are still holding in cows. If it burns up I’d get nothing even if it was insured. Our experience was that nobody was going to come help get the fences back up or help come up with a management plan for after a fire. Christine flew out here after the fire and was really upset about it and really wanted to help. We were trying to think of ways PastureMap could help. So she ended up offering PastureMap for free for one year for anyone affected by Anderson Creek or any of the wildfires. And I don’t think very many people really took her up on that offer. I know several people used it to measure their fences and then never looked at it again. And it just baffles me how an easy to use, inexpensive tool like PastureMap and people can’t see the value in it. I’ve got 675 cows so I’m paying $750 this year for PastureMap. $750 for a program that will store my grazing records, photo points, rainfall records, run my grazing chart, and I’ve got everything on a map? That’s a bargain! When it was still $2,000 – $1,500 a year I told people—how many extra calves is that? How many extra cows would you have to run to make another $1,000 a year? Two or three? If you can’t run three more cows because of the way PastureMap allows you to keep your records, you need to reconsider your profession. I know you do a lot of prescribed burning—is that something you’ve always been experimenting with or are you doing more of it now after the wildfire? We’ve been doing prescribed burning mostly for brush control and weed encroachment. Mostly cedar trees. We noticed some benefits to the grass. We actually just did a burn a week ago—lit up a one hundred acre paddock. We did a test growing season burn just to see what happens. We got a lot of country out here that needs to be on fire. And unless we get an Anderson Creek wildfire coming through here every three years, we just can’t get that much fire on the ground. I was the first guy in the area to do a growing season burn. Several of us have been talking about it for a few years, but I made one happen. Had about twenty people here and I think some of them are going to give it a shot now that they’ve seen it’s not this scary, terrifying thing to put fire on the ground in August. In dry country, wildfires are inevitable. Is there anything else you want to share? Advice for other ranchers recovering from wildfire? Don’t panic. It will rain. The grasslands always recover. It’ll recover with or without our help. The more we’ve disturbed it in the past, the more management and care it needs going forward from a fire to recover properly. 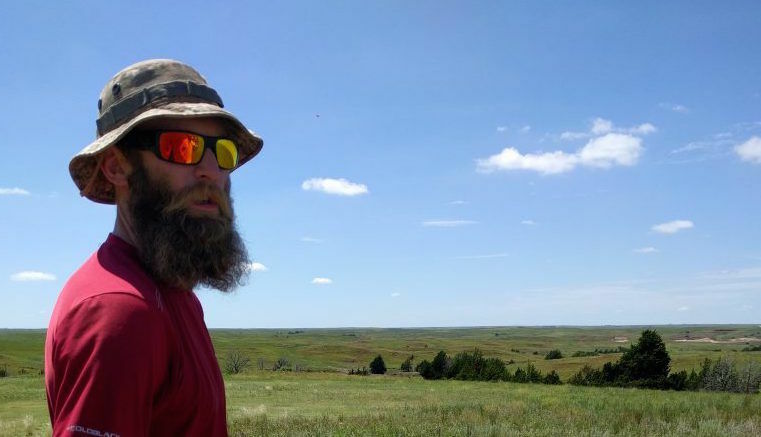 Brian Alexander operates a 7,000 acre cattle ranch in South Central Kansas using a managed intensive grazing system. Follow him on Facebook at Red Hills Rancher. One more thing: A lot of the Mendo complex is now burning outside of Lake County, including the currently active areas. So while the total acreage of the fire is about half the total area of Lake County, the percentage of the fire area IN Lake Co. is somewhat less than that. Someone who knows how to scale maps could probably give us a more exact figure, if people are interested. I say this only because I live in Lake Co. and while we have had the largest number of people affected by the fire, we can”t take all the glory for acreage burned. But of course we”ve had a disproportionate number of wildfires in the last few years, which I believe has most to do with our vegetation patterns and rugged terrain. Many Lake Co oldtimers say something like this happens every 20 years or so. My optometrist has a fascinating historic fire map in his lobby, most instructive. The natural tendency of this area to burn is, however, exacerbated by global climate change. I”m pretty sure this is the most destructive fire, in terms of acreage burned, of any fire in Lake Co.